Steamboat Resort President Rob Perlman announced on Friday plans to replace the gondola in summer 2019. 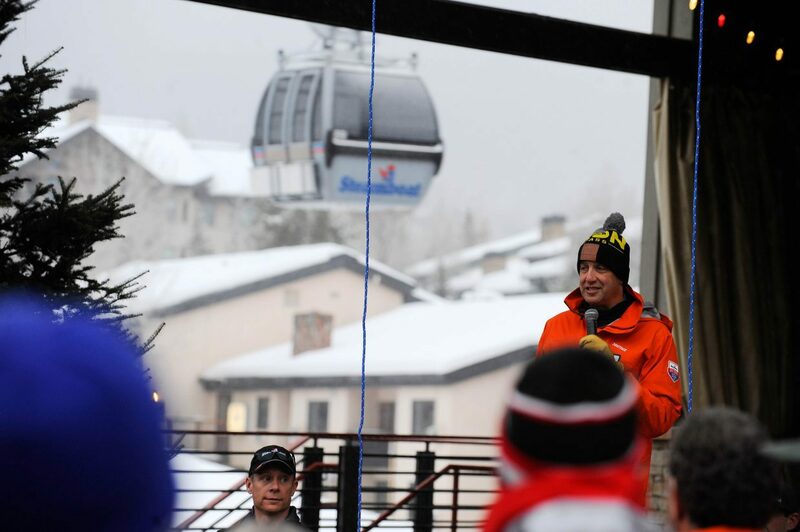 Ski area President Rob Perlman made the surprise announcement during an event in Gondola Square, where he gave praise to a great early season and the work that staff has done to prepare the mountain. “We’ll work all summer to replace the gondola,” Perlman said. Perlman said construction on the $15 million Doppelmayr replacement gondola will begin April 15, the day after the ski season ends. The new gondola will increase capacity by 38 percent and decrease the ride time from 12 minutes to less than 10 minutes. It will have new cabins with 12 additional cars bringing the total to 137. Additional cabins and increased speed will allow the new gondola to move 1,000 more people up the mountain per hour. Ski area spokeswoman Loryn Kasten said it has not been decided whether the cars will have wireless internet, similar to other modern gondolas. The new gondola is part of a $555 million investment that Steamboat Resort’s new owner, Alterra Mountain Co., is putting into its collection of resorts over the next five years. Construction of the new gondola will impact the ski area’s summer operations, including the Steamboat Bike Park, which uses the gondola to shuttle riders up the mountain. The resort plans to use an alternate lift to accommodate the cyclists as well as people wanting to go to Thunderhead Lodge to take in the views. Construction on the new gondola is expected to be completed by November 2019. Beyond the new gondola, the ski area has big plans for the coming years. The U.S. Forest Service recently approved a new lift to service 355 acres near Pioneer Ridge that are currently accessed through backcountry gates. A bridge and skiway would be built to guide skiers back to the BC Ski Way trail. Planned improvements in the area also include snowmaking and a new trail to bring skiers to the Storm Peak Express lift. A second project aims to create more beginner terrain and relocate ski school operations to the Rough Rider and Bashor Bowl areas. A second gondola would take beginner skiers from the base area to the Rough Rider Learning Center, where a new restaurant would be built and a new lift would replace the existing Bashor lift. The plan calls for relocating the Mavericks halfpipe, which is currently in the Bashor area. It is still unclear when the ski area’s parent company will fund the approved projects.